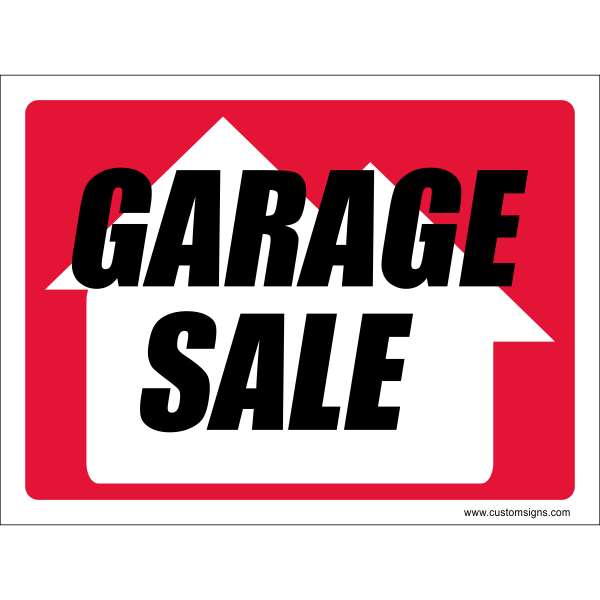 Spread the word about your yard or garage sale by posting our eye-catching custom garage signs at your home and throughout the neighborhood, informing potential buyers that a sale is underway! Complete with H-stakes for quick, easy installation, our custom yard signs are sure to bring customers your way. Make your sale a sellout by showing potential buyers where the goods are. Our brightly colored signs are custom made for you.